For those who are currently experiencing a real winter, the feel-good jams are in high demand. Some people’s go-to on a gloomy day is the good ‘ol tropical-house tune to lift your spirits. Then there are those who consider this forcing the situation a bit; possibly setting yourself up for disappointment when you let your imagination get too carried away on that beach in the Bahamas. Reality always eventually sinks in. Thankfully, we’ve come across an ideal jam for when you’re jammed up inside. We’ve seen Years & Years releasing plenty of up-beaters lately, but it’s artists such as Sam Feldt who can add their little somethin’ special, and give it the oomph it needs to pull you out of a funk. He usually does so with his expertise in tropical house, but we’ve established summer is long-gone, and we’re seeking a little less cliché sound to please our ears and soothe our brains. Seek, and ye shall find. 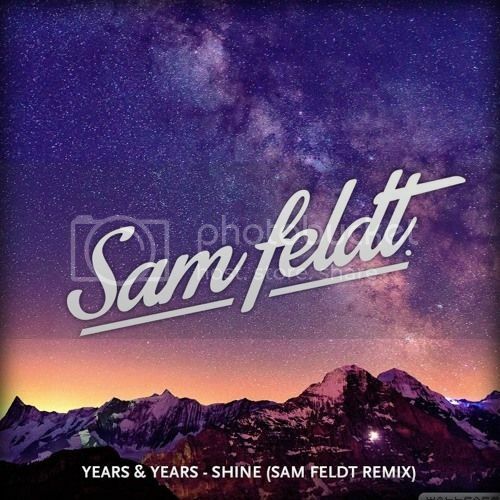 Sam Feldt has delivered the perfect remix of Years & Year’s track, “Shine,” releasing a great energy, guaranteed to keep you in high spirits for at least a solid four minutes. With previous hit records such as, “Midnight Hearts” and “Show Me Love,” it’s clear to see, Sam is alll about the good feels. It’s no secret, once the holidays are over, it’s not just the Christmas trees, cookies, and playlists being thrown out the window; usually the jolly-good vibes go right with it. With that being said, it’s a good thing we’ve got jams like Sam’s to keep us hangin’ in there.